Identify and recognize the health, well-being, and energy aspects of providing natural daylight into buildings. Assess the advances and options in manufactured window units related to increasing daylight, providing a cleaner appearance, and better performance. Explain the significant design and performance aspects of opening glass walls used as fenestration in buildings. Describe the different methods of solar and daylight control that are possible through the use of electrochromic glazing. Providing fenestration in exterior walls is driven by a variety of factors. In some cases, it is a primary form giver in the design of a building and has certainly been the key to many approaches leading to award-winning designs. In the interest of promoting well-being and healthy environments, fenestration has also been seen as an essential component in that effort. At the same time, fenestration has been the focus of intense advancement and development to address the need for energy conservation in buildings. In this regard, bringing natural light into a building can be an energy saver by allowing artificial lighting to be switched off, as long as that natural light doesn’t overpower the interior and create glare or a light level that is too intense. On the other hand, fenestration can allow more heat loss than an insulated wall or too much heat gain from sunlight passing through the glazing, either of which could increase the need for energy to heat or cool a building. Recognizing this array of interconnected variables, manufacturers of fenestration products offer choices in how these products can be sized, specified, and assembled so that architects can select and customize their products to suit the overall design, human needs, and energy performance requirements of many different buildings. 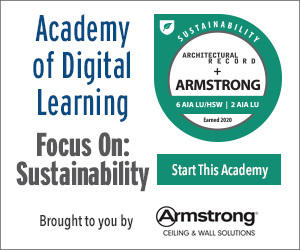 With all of these points in mind, this course will look at some of the driving forces behind incorporating fenestration into buildings, latest technologies and products available, and design approaches to help balance light, connectivity, and energy conservation. Fenestration can be implemented in buildings in many different ways to achieve a design concept balanced with performance requirements for natural light, energy use, and weather resistance. Many people are attuned to the cultural sentiment for well-lit spaces, but some scientific evidence based on research indicates that increased exposure to light makes people more productive and improves their sense of well-being, therefore improving overall wellness.1 Some specific studies have also looked at particular aspects of the impact of natural light on people, such as the following. Biophilic design: Human beings have moved relatively quickly from spending most of our time outdoors to most recently spending up to 97 percent of our time indoors.8 Nonetheless, we still have some psychological and deep-rooted connections to things in the natural world that have been traced to the earliest days of living on terrain like meadows and the savanna.2 Recognizing these connections has become the impetus behind an effort known as biophilic design. 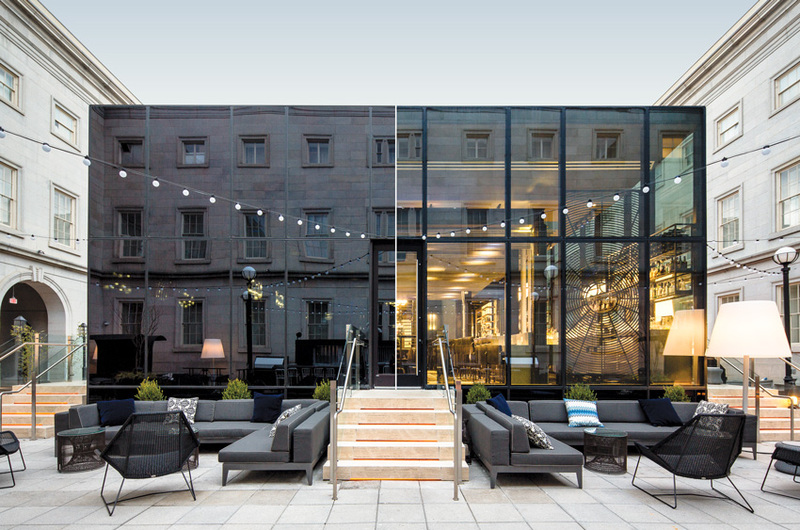 The concept of “designing with light” involves the judicious use of fenestration to provide connections between the indoor parts of a building and the natural, outdoor world. Manufactured unit windows are a common staple of many buildings whether residential, commercial, or even institutional. As a fabricated product, they need to have their own physical integrity for internal support and durability over time. In the past, that has meant heavy frame and sash members, usually made out of wood, which reduced the size of the glazing and therefore reduced the amount of light entering through the window. Modern buildings tend to have more windows made with narrower frames. This increases the capacity for light to pass through the windows while also offering better views. 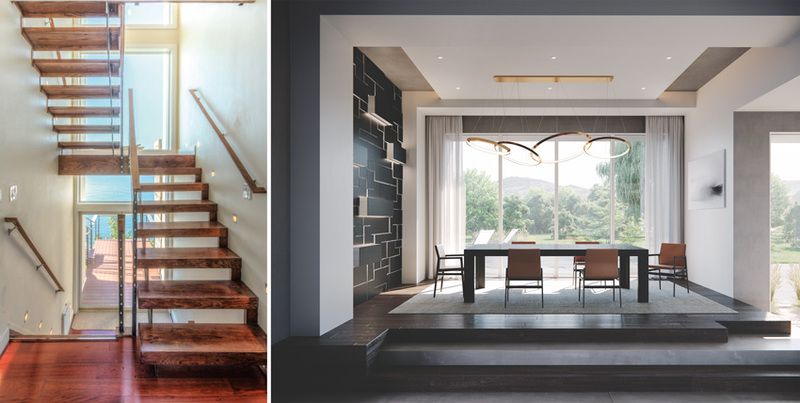 When a building design embraces and enhances the benefits of natural sunlight through deliberate window choices that strengthen our connection to the outdoors, those much-desired feelings of well-being are the natural result. The more exposure to the outdoors and light, the better we feel because we’re more in sync with the rhythms of daylight, and therefore more in tune with nature. “All of these things tie into healthy living, the ability to get the sleep that you need, the wellness everyone is talking about trying to get,” Gonzalez says. Window manufacturers recognize this point and have responded with updated products that provide minimal sightlines with larger expanses of glass. This combination helps provide a seamless, clutter-free appearance that makes it easier to engage with the outside world through windows and doors. Among the features that achieve the myriad design and performance demands of windows, Marvin notes that sightlines can remain unobstructed with less than 3 inches of framing visible across window products in prefabricated and preconfigured components that save on installation time. Further, improvements in the frame design help keep interior temperatures comfortable and address energy conservation as much as improvements in glazing. Durable materials including high-density fiberglass speak to the strength and longevity of the windows, including their ability to seal against unwanted air infiltration over time. Windows are available with narrower framing to improve sightlines with cleaner appearances to maximize the view, receive natural daylight, and provide a sense of wellness to building occupants.